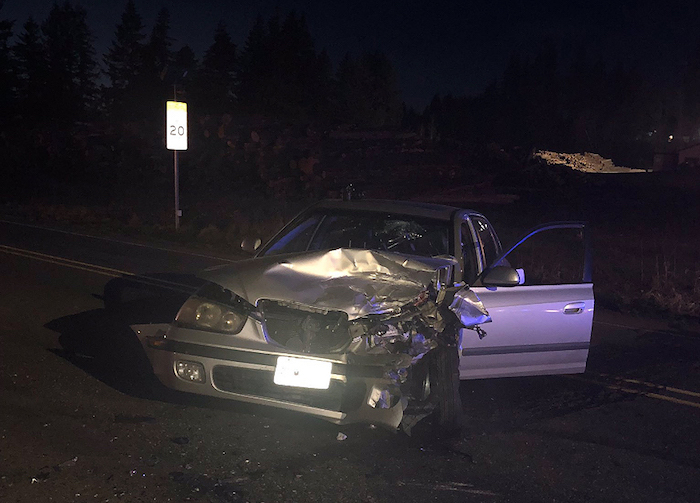 A suspected DUI driver caused a serious head-on collision Tuesday night on Highway 12 in Oakville, according to the Washington State Patrol. The incident occurred just before 7 p.m. on State Route 12 at Park Street. Police say a 43-year-old Montesano man was heading west on SR 12 when he attempted to pass at a high rate of speed in a no-pass zone on a 30 mph curve. His Hyundai Elantra struck a Subaru Forester head-on, which both vehicles coming to rest in the middle of the road. The driver of the Forester, a 23-year-old Oakville woman, was transported to Providence St. Peter Hospital in Olympia with a broken wrist and internal injuries. The DUI driver was taken to Summit Pacific Medical Center. State Patrol says he was under the influence and will be charged with a DUI. The crash is being investigated as a vehicular assault. Driving under the influence of drugs or alcohol is a serious crime that puts everyone on the road in danger. And while motorists who choose to engage in this behavior are held criminally responsible, victims of these drunk driving crashes are left to handle their own injury cases on their own. Fortunately, Washington state law allows for DUI victims to hold drunk drivers financially responsible for their actions by pursuing a personal injury lawsuit through the civil court system. Any and all damages suffered due to the accident can be recouped by the victim and their family. While some attorneys represent both DUI drivers and the victims they hurt, Davis Law Group only works with the victims looking to recover financially. Holding drunk drivers accountable for their actions is our mission. If you were hurt in an accident caused by a DUI driver in Washington state, it's important to understand your legal rights and options. For a free, no obligation case evaluation with an attorney at Davis Law Group, contact our office today. We are available 24 hours a day, 7 days a week to assist you. Call (206) 727-4000, use the chat feature below or fill out the form on this page to get in touch with an experienced DUI victim lawyer.